I’m not going to try another image tonight…. Lightbringer, do you want a turn? Nah, have at it. We’ll wait. Clues in a hour or two. Just caught this on the fly…. Sorry about missing checking in here yesterday. I thought of it then got involved in something and forgot. Wow! I am surprised; I did not think there was anyplace on earth that had not been indexed by at least one of the search engines. Perhaps it is the angle of the shot that confuses identification? The building shown was never a church itself. The property, the grounds, was run by a religious order operating a retreat for the treatment of Catholic Church priests who were experiencing depression or various emotional ills. The retreat was closed in the mid 90’s as scandals became public; the property sold somewhat later. The building pictured was an administrator residence for the retreat. There still is a Catholic Church at the other end of the property. The order still exists but no longer has a presence in NM. Does that help? I can go to an anagram tomorrow. We’ll call that correct. 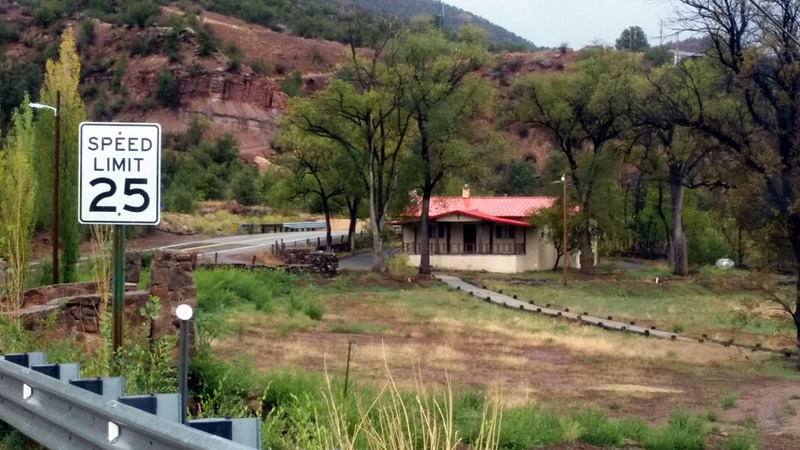 There is more than one retreat in Jemez Springs. This was the Servants of the Paraclete. The property is now owned by the Jemez Pueblo tribe. Your turn. I may be slow to respond this weekend. It's a winery in Europe. The winery part was more or less clear, but it is good to know it is in Europe. Is that simply a white wine or genuine Champagne? To be precise, the wine is Sekt. So if it is Sekt it is German or Austrian? Yes, it's in Germany or Austria. This city in Austria is known for its Sekt wine. Schlumberger (Robert) Sekt. Near Vienna. 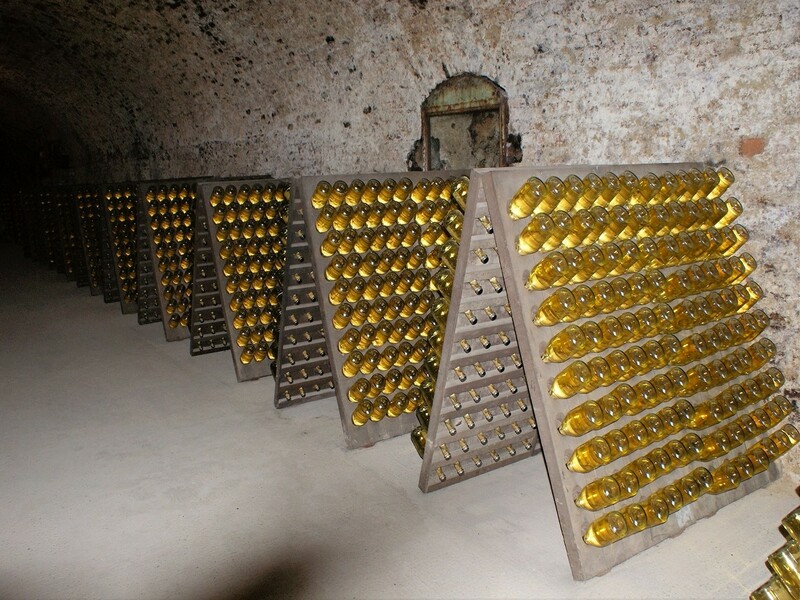 Did you know that tomorrow, Oct 22, is Sekt Day in Austria? And I did not take these photos. I just found them online. Holy Cow!!! That was a guess, one of the first winery links that came up on a search. It’s the oldest Sekt producer in Austria. 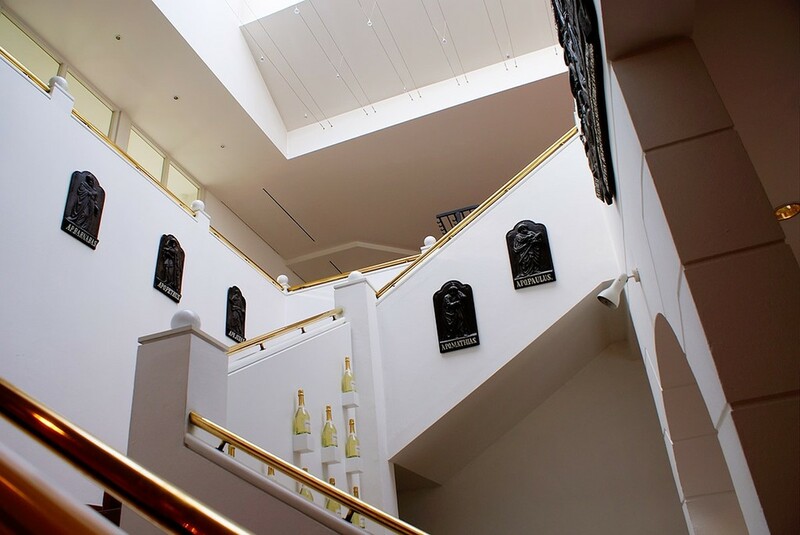 austrianwine.com lists 5377 wineries in Austria. I’ll have to search for something to post….